One view was that it was difficult enough to get people to care about big animals, like whales; no one was going to care about chickens. The other view was, “Go for it! Don’t wait! Do it now!” So she did! Karen Davis, PhD, founder and president of United Poultry Concerns, shared the story of the organization’s beginnings and mission, her affinity for all birds, succinct advice for animal activists, and what motivates her in a wide-ranging, captivating interview. Karen said she has had an affinity for birds since child- hood, but had no personal experience with chickens or turkeys until adulthood. 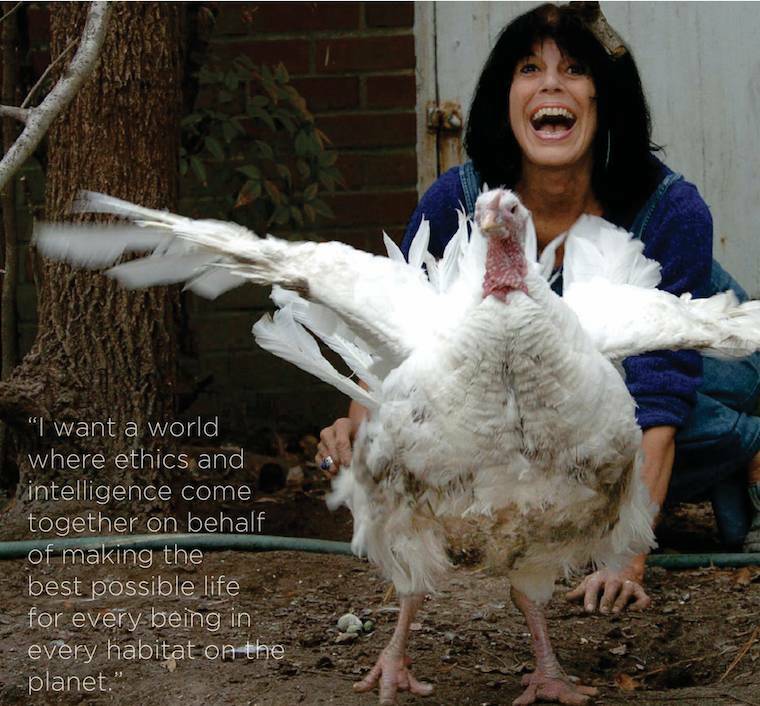 A combination of circumstances led to the founding of UPC – her growing interest in farm animals combined with personal time with her landlady’s chickens, and a stint as a volunteer at Farm Sanctuary brought about a decision to form an organization to focus on the plight of chickens and turkeys. She formed it in 1990, after receiving conflicting recommendations about its chances for success. One view was that it was difficult enough to get people to care about big animals, like whales; no one was going to care about chickens. The other view was, “Go for it! Don’t wait! Do it now!” So she did!